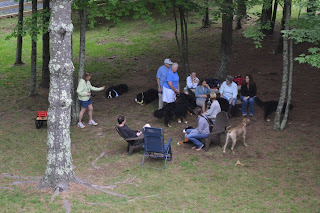 The Blue Ridge Bernese Mountain Dog Group met at the home of Jill Ezell in July. 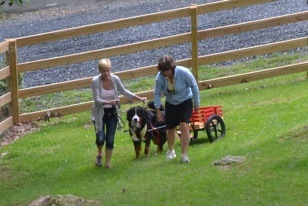 They visited, did some drafting, and the Berners had a ball. 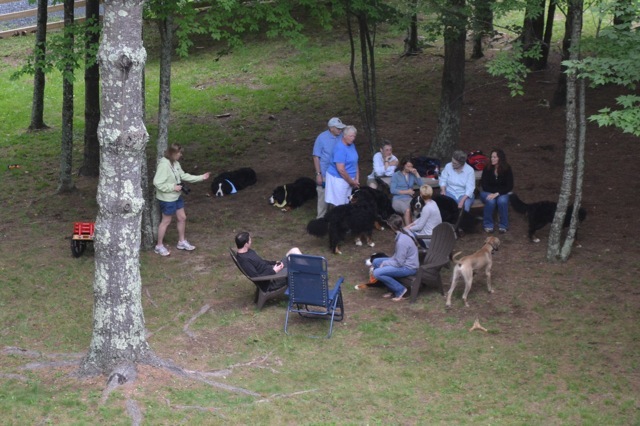 Weather was perfect for the furry friends and humans alike. 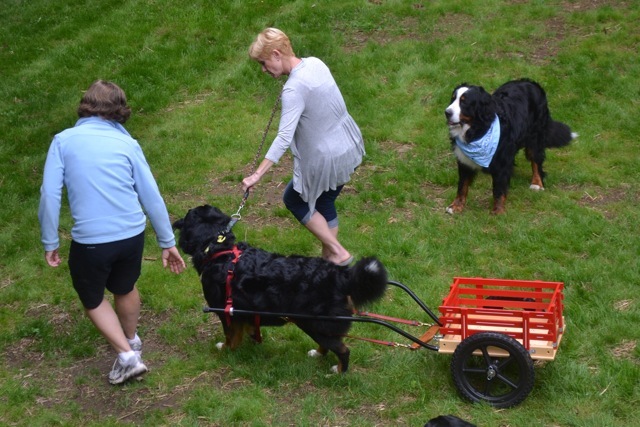 Good job, Berners! I'm sure this Club loved visiting Jill and her three Berners with the cool weather and beautiful play yard that Jill and her husband, Boyce, have established for them.